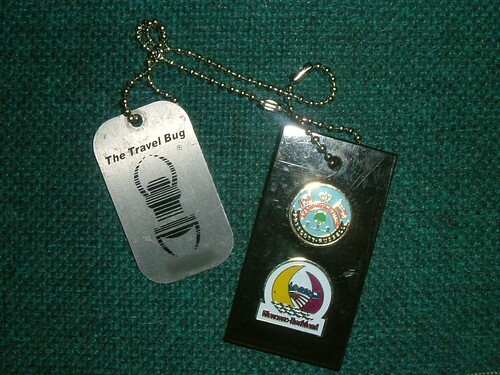 I particularly enjoy finding travel bugs and geocoins in the caches I visit, seeing what their missions are and trying to help them along, seeing the variety of items with a dog tag attached, and seeing the amazing designs on the geocoins. I figure Father’s Day will be a good time to release one of our own trackables. I’m giving the airplane travel bug pictured above to my father. We will decide on a name and a mission for the bug that morning. I expect, since my father enjoys aviation, it will have a mission to visit caches close to airports and other sites related to aviation. Since we are planning to visit the Warplane Heritage Museum (where my father is a volunteer guide) at Hamilton International Airport , I have chosen several caches in the area as places to release the bug. Hopefully all goes well although at this point the long range forecast for the weekend isn’t looking so good. 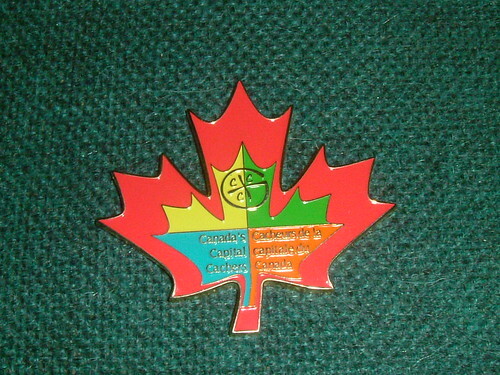 I picked up a travel bug and a geocoin at GC1T91K Bump on the Head. While we are out looking for regular size caches on the weekend to release our bug I plan to drop these at the same time. 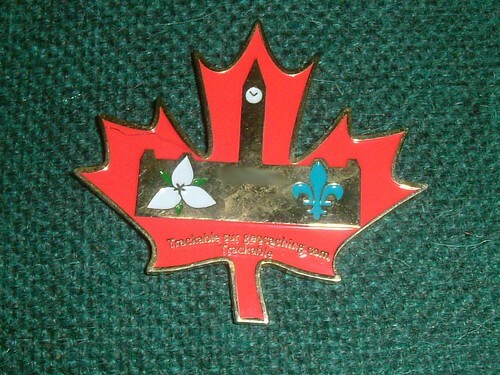 The Tournoi de soccer de Dirinon 2007 (Canada’s Capital Cachers) geocoin front and back images. This entry was posted on Tuesday, June 16th, 2009 at 6:33 pm	and is filed under Trackables. You can follow any responses to this entry through the RSS 2.0 feed. You can leave a response, or trackback from your own site. Good Idea! Fathers Day is the perfect excuse to get out there and geocache! I love finding coins and TBs too. It’s always a treat. I think I’m spoiled here in Okinawa, since there are so many trackables here. I just came across your blog, and I really like the theme.